Provides a practical introduction to artificial intelligence that is less mathematically rigorous than other books on the market. 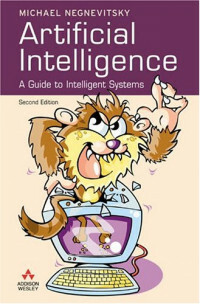 Appropriate for programmers looking for an overview of all facets of artificial intelligence. Artificial Intelligence is often perceived as being a highly complicated, even frightening subject in Computer Science. This view is compounded by books in this area being crowded with complex matrix algebra and differential equations - until now. This book, evolving from lectures given to students with little knowledge of calculus, assumes no prior programming experience and demonstrates that most of the underlying ideas in intelligent systems are, in reality, simple and straightforward. Are you looking for a genuinely lucid, introductory text for a course in A.I or Intelligent Systems Design? Perhaps you¿re a non-computer science professional looking for a self-study guide to the state-of-the art in knowledge based systems? Either way, you can¿t afford to ignore this book. · Completely updated to incorporate the latest developments in this fast-paced field. Educated as an electrical engineer, Dr Negnevitsky¿s many interests include artificial intelligence and soft computing. His research involves the development and application of intelligent systems in electrical engineering, process control and environmental engineering. He has authored and co-authored over 250 research publications including numerous journal articles, four patents for inventions and two books.